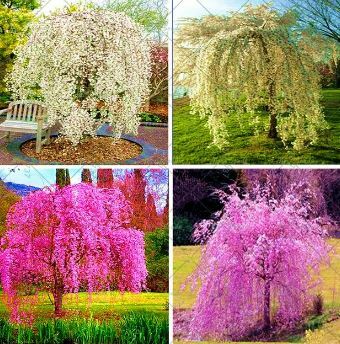 The weeping cherry tree will look beautiful and charming in spring when many flowers bloom, there are pink and some are white. Flowers bloom above the pendulant branches provides an extraordinary atmosphere. The enchanting scenery will be present in front of your house and can attract a lot of attention from those who come to your house. 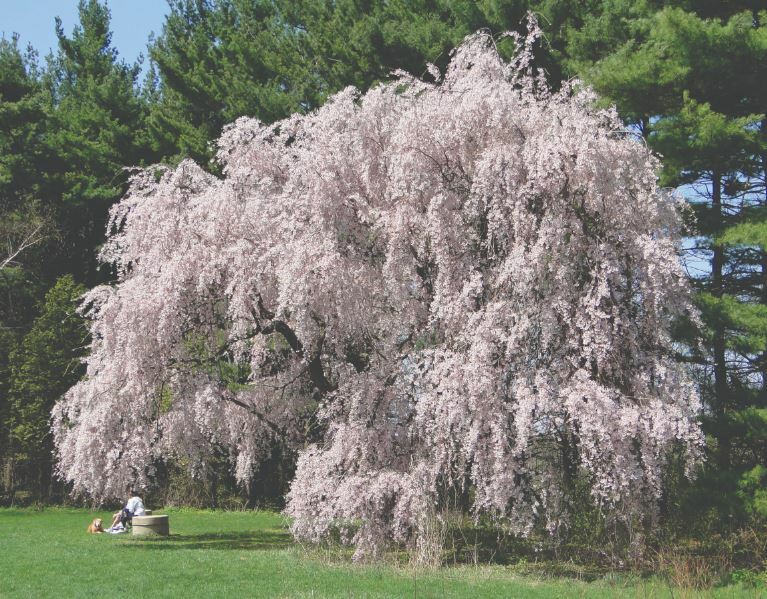 Cherry trees with some variations provide a variety of sizes from 8 feet to 40 feet wide with weeping branches. Here we will give a weeping cherry tree tip so that your weeping cherry plant gives a great charm. If you want to plant weeping cherries with beautiful branches in your landscape, this article can help you provide information on how to grow weeping cherry in full sun as its habitat, but it can also live in shade. The treatment of weeping cherry needs to use dry soil well, the soil is always moist and tends to make their roots rot. In addition, the important thing to pay attention to is the free flow of air around the canopy to avoid disease. So when you grow weeping cherry, consider space or place. Avoid planting on the other side or next to the house so you do not need to trim the branches. When weeping cherry bloom, there will be many butterflies and hummingbirds, keep their safety by avoiding the use of insecticides for a while when cherry blossoms bloom. Actually, planting weeping cherry is not difficult, but having sufficient knowledge is very important. To plant it on open land, you must make a hole larger than the root ball or even up to three larger than the root ball. When inserting into a hole, make sure the roots are parallel to the surrounding soil, this must be done carefully. You should not add soil amendments to the hole so that the roots growth can spread around it. Fill the planting hole with the soil and gently press the surrounding area so that it is tight and no air holes. Now, when the soil is filled with half a hole, the water is poured over it so that it enters the roots little by little. You don’t need to use a stake, unless it’s really needed. If you have to use a stake, remove it after the age of the plant a year. One part of weeping cherry care is watering. Watering regularly does not necessarily make the cherry plant grow well. Pay attention to the soil, if it is still moist it should not be watered continuously. Watering is only done when the soil is dry. Continuous watering can cause root decay. In addition, add the organic mulch to the side of the cherry stem, this is to prevent drying or moisture so you don’t need to increase the frequency of watering. For fertilization, use a slow-release fertilizer in the early spring when the leaves begin to appear. The best fertilizer is compost, you can also buy fertilizers that are useful for flowering and shrubs. Ok, there are things that are often misunderstood in treating weeping cherry trees, this is pruning. This tree is not pruned, because it is planted to produce long, beautiful and extraordinary branches. Pruning is only done if the cherry is sick or problematic. Usually, branches that are several years old and cross each other provide friction and cause injury. If this happens, immediately cut the branch so that it does not become a place for bacteria.